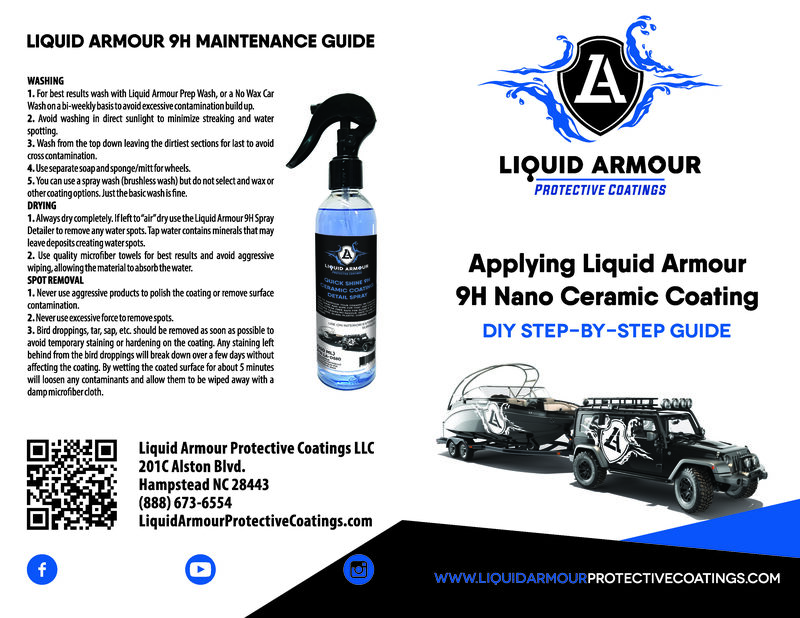 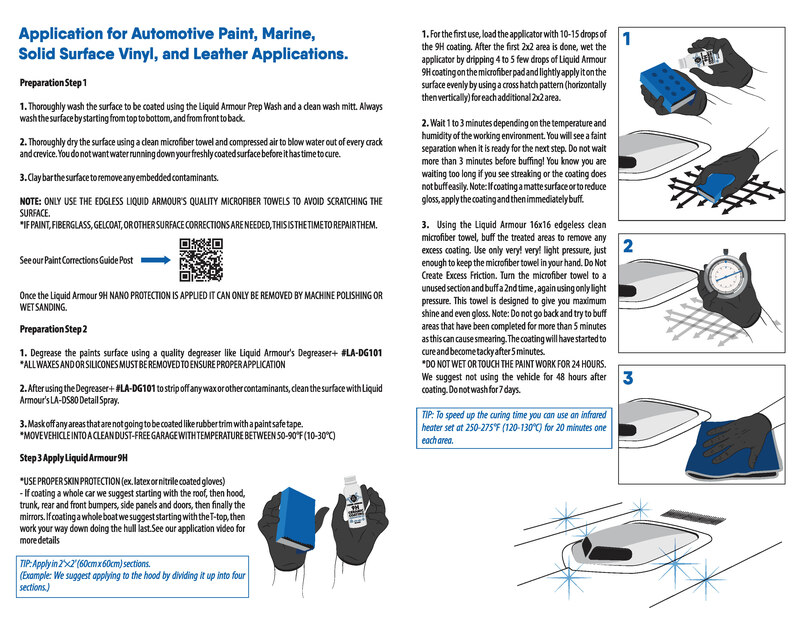 Liquid Armour 9H is a Permanent Nano-Ceramic Protective Paint Coating. 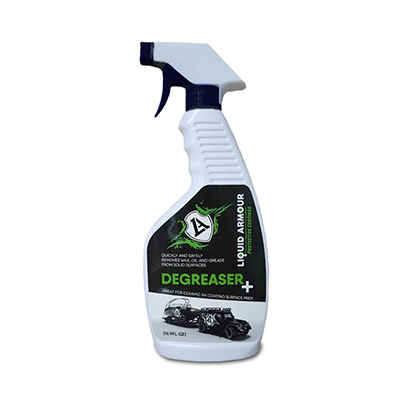 The Non-stick characterists of Liquid Armour 9H means your auto will stay cleaner for longer, and will retain its showroom appearance permanently. 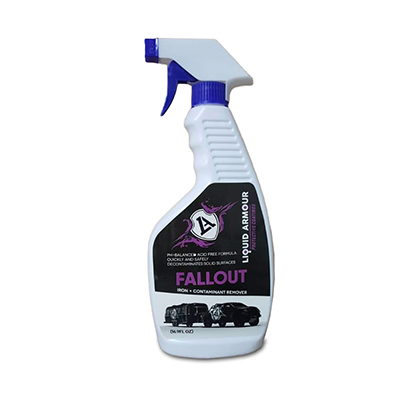 The super hydrophobic effect of the coating will cause water to bead up and roll of the surface along with any dirt and grime. 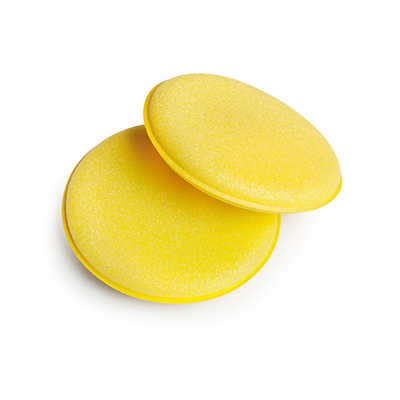 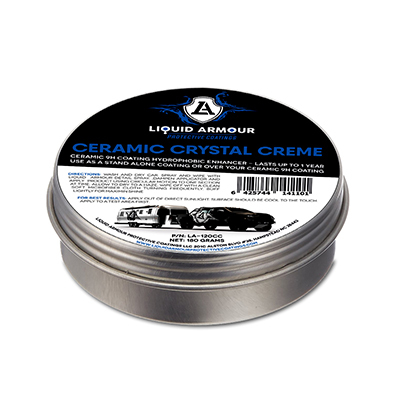 The hard ceramic film also offers superior protection from damaging elemental contamination and harsh chemicals. 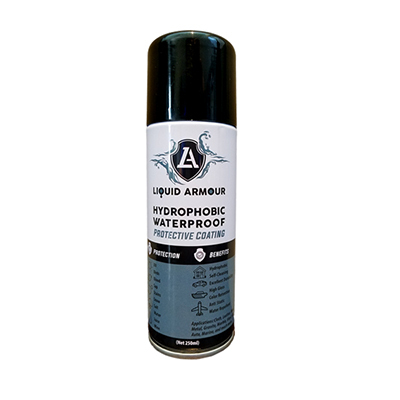 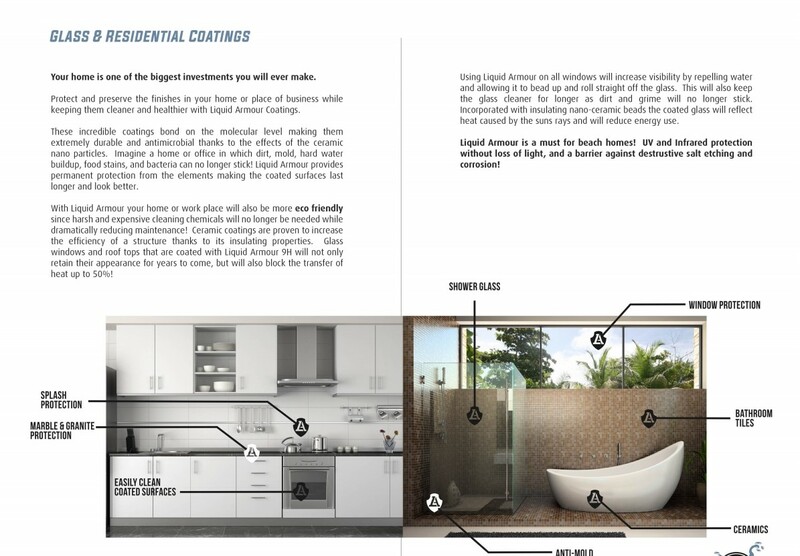 Liquid Armour 9H forms a permanent bond to the surface and will not wash away or break down. 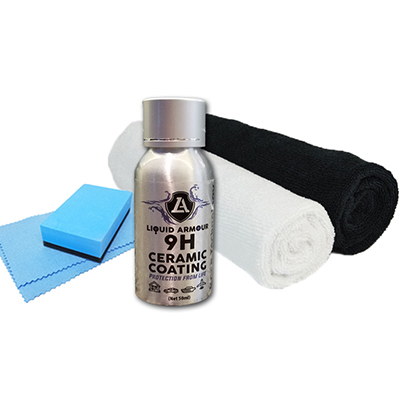 9H nano ceramic coatings can only be removed by abrasion making it a highly durable protective coating to shield your entire vehicle from damaging contaminants. 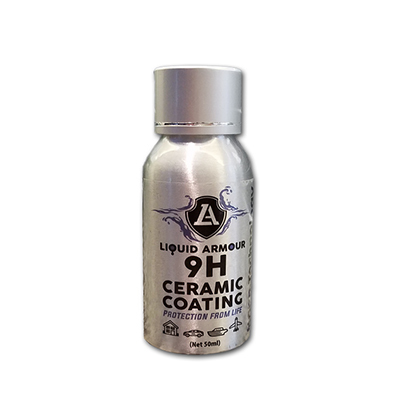 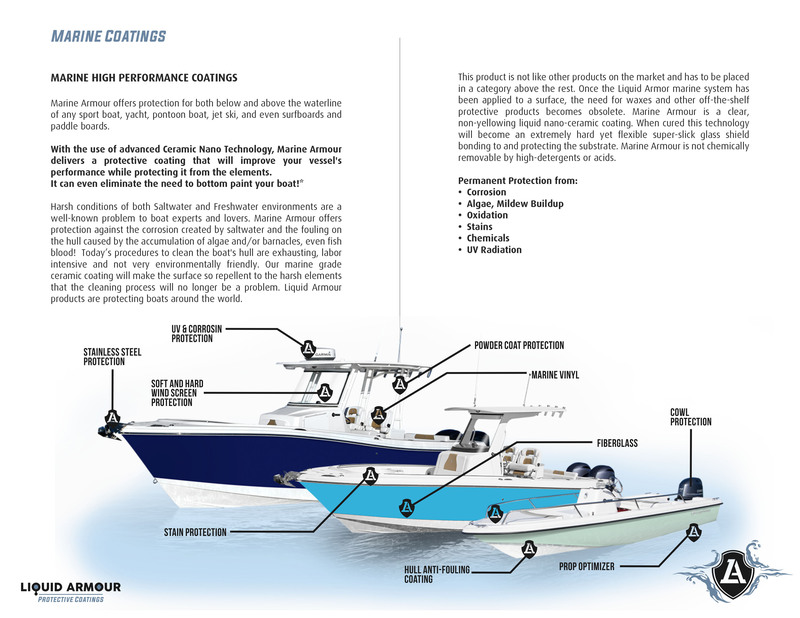 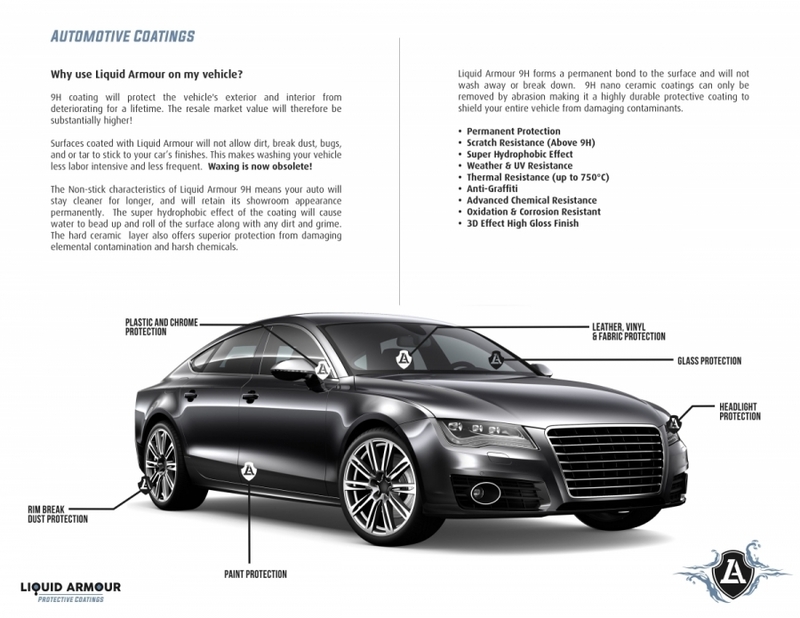 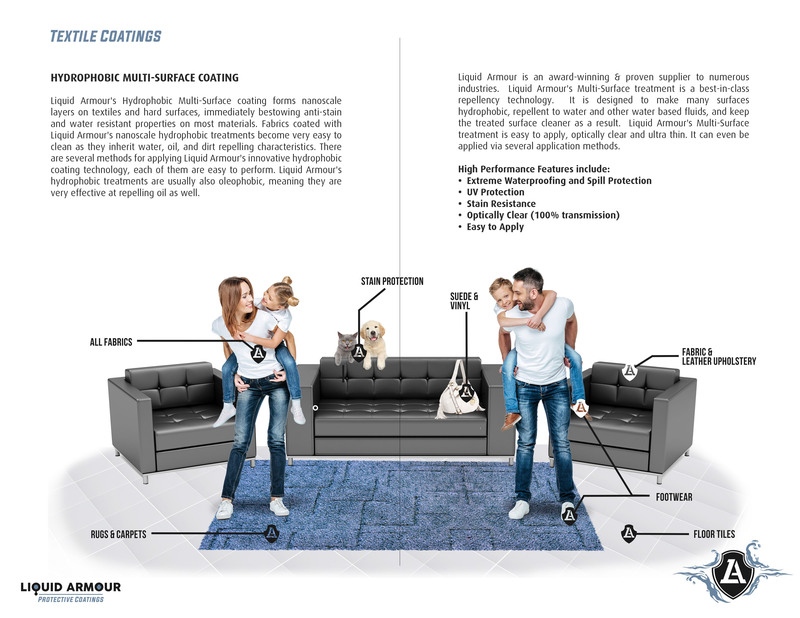 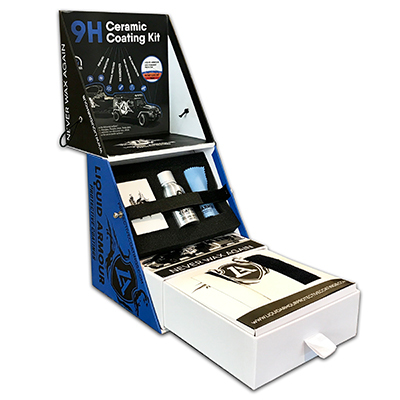 The unique formulation of Liquid Armour 9H enables it to be multi-layered which means the thickness of the coating can be increased with additional layers allowing a thicker/ harder film that will increase its scratch resistance.